» What is The Difference Between Cappuccino And Latte? 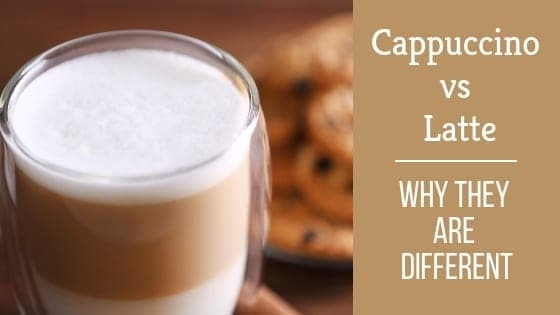 What is The Difference Between Cappuccino And Latte? What Espresso Machine to Use? How are Cappuccino and Latte Served? Is there Any Difference in Calories? Most people surely have heard or even tasted cappuccino and latte, some might even consider them as favorites. But can you distinguish the difference over cappuccino vs latte, or do they differ at all? The main difference between cappuccino and latte lies on the volume of the foamed milk or froth and steamed milk. According to the Standards of the Specialty Coffee Association of America (SCAA), a cappuccino is a 5 ounce beverage made up of a single shot espresso, steamed milk, and with at least 1 centimetre milk foam. While a Latte is an 8 ounce beverage with 1 - 2 shots of espresso, two thirds steamed milk, topped with very little foam. Traditionally, a cappuccino has equal parts of espresso, steamed milk, and foamed milk (1/3 of everything). While the traditional latte has more steamed milk (4/6) than foamed milk (1/6) and espresso (1/6). And since it's the foamed milk that makes the difference, the process of frothing the milk also differs. Below, I have a complete guide on how to make these two, so you can decide over cappuccino or latte. In making a Cappuccino, there are three essential things to consider: espresso, steamed milk, and milk foam. Since Cappuccino is an espresso based drink, it is important to start the process by making a good shot of espresso. First, we need to preheat the espresso machine to make sure that the hot water has a temperature of 190 to 196 degrees Fahrenheit. Then, we will need to have about 8 grams of freshly ground coffee tamped and leveled into a portafilter. After that, place it in your calibrated espresso machine, and let the brewing process happen for about 20-30 seconds. The good shot of espresso has an aromatic, golden brown crema on top. Before we start steaming and frothing the milk, we have to rinse the steam wand first by dipping it into the water then releasing steam for a few seconds. Aside from the steam wand, we also need a stainless milk jug, a thermometer, and a cold milk for this procedure. By the way, the ideal milk for a cappuccino is the 2% (partially skimmed milk) because it's creamy and the easiest to froth. Start by placing the cold milk to the cold stainless milk jug, and place a thermometer inside, too. The milk should only occupy two-thirds of your milk jug, so it won't spill once frothed. Then, dip the steam wand into the milk, and see to it that the milk jug is in a slant position. After that, let off the steam, create a whirlpool-looking motion by moving your milk jug clockwise, and start incorporating air into your milk. The milk will double in volume, but you must stop when your thermometer reached 150 degrees Fahrenheit, or else your milk will have a burnt taste. Once you're done frothing the milk, turn off the steam and remove the wand from your milk. If you see huge bubbles on your milk foam, remove it by moving your milk jug in a circular motion, and tapping its bottom to the surface. Now that your espresso and milk are both ready for cappuccino, pour your espresso first in a mug, then gently pour the frothed milk over. Optional step: Some coffee drinkers prefer to add a dash of chocolate or cinnamon powder on top of their cappuccino. Let's now proceed with the other half of our cappuccino vs latte comparison. Optional step: Some barista prefer to pour the milk while decorating the drink with a latte art (usual latte arts are Rosetta and heart). Check out this amazing video on how to make latte art. 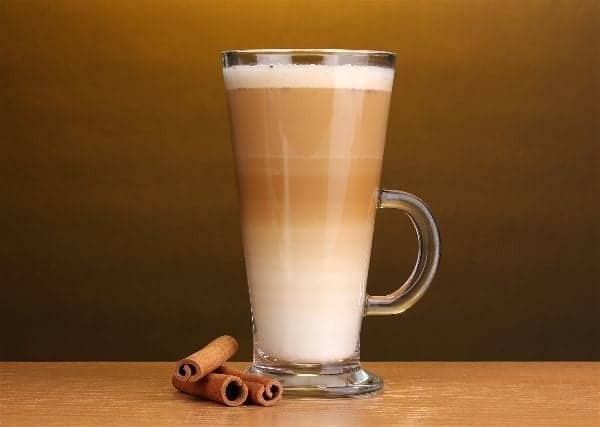 Just like with cappuccino, a latte is also an espresso based drink, which also requires an espresso and steamed milk. Latte can be prepared by using a single or double shots of espresso, depending on the culture or the person. Just like with the step I mentioned above, espresso preparation for both cappuccino and latte are just the same. Though the one I stated above is intended for a single shot espresso, you won't need to repeat the process if you prefer a double shot. Portafilters with two holes are capable of producing double shots of espresso within 20 - 30 seconds. All you have to do is place 15 grams of ground coffee into the portafilter, instead of 8 grams. And with the right tamping and calibrated machine, it should produce a good shot of espresso. When steaming the milk for the latte, you will also need to have a cold milk, a milk jug, a steam wand, and a thermometer. It starts by releasing a bit of steam from the steam wand before submerging it into your milk. Then, you will have to tilt your milk jug to incorporate the air for only 5 seconds. But unlike cappuccino, the steamed milk for your latte need not be doubled in volume. The goal here is to make your milk look like wet paint until you reach the temperature of 140 degrees Fahrenheit. Again, similar to the cappuccino, you have to pour the espresso first into the mug before gently pouring the steamed milk. Now that we're done with the recipe and steps of cappuccino vs latte, we must also know which machine to use and which one is perfect for you. If you are taking your first steps as home barista, you may to feel a bit overwhelmed when seeing bulky and complicated espresso machines with too many buttons. The machine we recommend is the Breville BES870XL Barista Express Espresso Machine. It is really an excellent espresso machine. This machine is capable of producing a nice single or double shots of espresso with 15 bars of pressure. And aside from the coffee grinder, it also comes with a steam wand that can help you in practicing with both cappuccino and latte. We have a full review you can find here. The alternative option we suggest is the Gaggia Classic.  It is a great espresso machine especially for beginners or those with a little to no background about espresso machines. It has a classic and sleek design that can easily sit on any countertop. The Gaggia Classic Semi Automatic Espresso Maker is a compact machine that produces cafe quality espressos. Plus, the Pannarello Steam Wand of this machine works great in frothing the milk for cappuccino. It doesn't have an inbuilt coffee grinder, unlike the Breville's Barista Express but overall, the Gaggia Classic Semi Automatic Espresso Maker is an excellent choice for coffee lovers. You can read more reviews on the Breville BES870XL and the Gaggia Classic Semi Automatic Espresso Maker on Amazon. Just a quick trivia for non Italian readers: Did you know that it is only acceptable for Italians to drink a cappuccino in the morning? Traditionally, a Cappuccino is served in a pre heated porcelain cup or a mug with handle. On the other hand, did you know that when you order a "latte" in Italy, they will give you a glass of milk instead of a coffee with milk? It is because latte is actually an Italian term for milk, so to get a coffee with milk, you must order for a Caffe Latte. And lattes are traditionally served in a much taller cups or glasses. However, it is now common to see both cappuccino and latte being served in paper cups with plastic lids in varying sizes. Another thing that you might find interesting is the calorie content of cappuccino vs latte. According to CalorieKing, an 8 ounce Cafe Latte has 136 Calories, provided it used whole milk. While an 8 ounce Cappuccino with whole milk only has 73 Calories. Using Soy Milk for an 8 ounce will make the calorie content of Latte 85, and Cappuccino with 60. But if we will use non-fat milk, the calorie content of Latte will decrease to 65 Calories, and Cappuccino will only have 40 Calories. We hope these numbers can help you compute which condiments to add in your next morning drink, without sacrificing your health. It is now clearer that cappuccino vs latte differs hugely in steamed milk and milk foam volume. Cappuccino has more milk foam (equal volume with espresso and steamed milk), while Latte has more steamed milk and with very little milk foam. Most people get confused about these two popular coffees because they are both espresso-based and both use steamed milk. In terms of preparation, cappuccino vs latte differs when it comes to stretching the milk (incorporating the air to create milk foam). 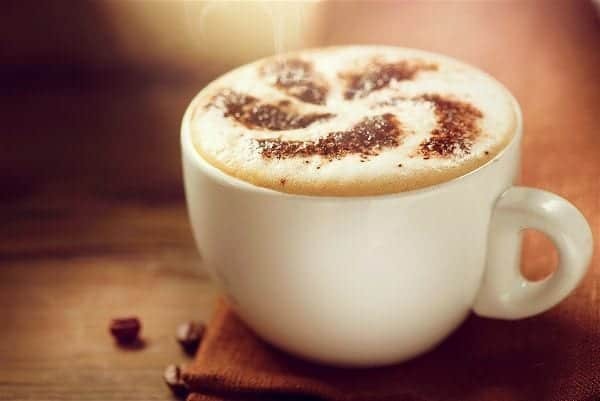 Since cappuccino requires more foam, the stretching of milk lasts longer until the volume of the milk doubles. Aside from the physical difference of cappuccino vs latte, they also have a very different calorie content. Latte actually has more calories compared to cappuccino, this can be attributed for having more milk used in preparing a latte. Overall cappuccino vs latte may have major or subtle differences, but the culture and personal preferences of an individual will always be a huge factor. 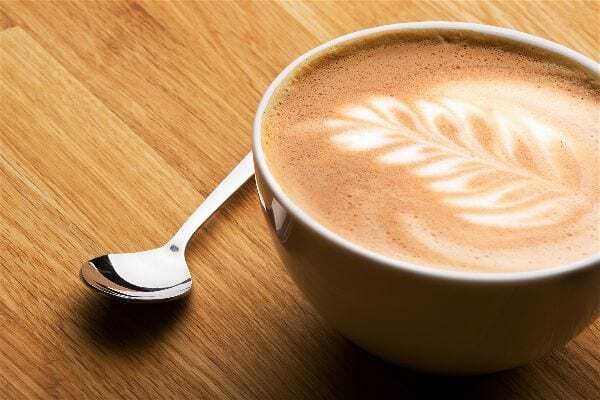 I hope this article made you more equipped with the cappuccino vs latte debate, and if you have personal opinions on this, feel free to share it with me in the comments section below. Previous Post Can I Drink Coffee? 12 Situations You Don’t Know If You Can Next Post Roasting Coffee at Home: Do or Don’t?